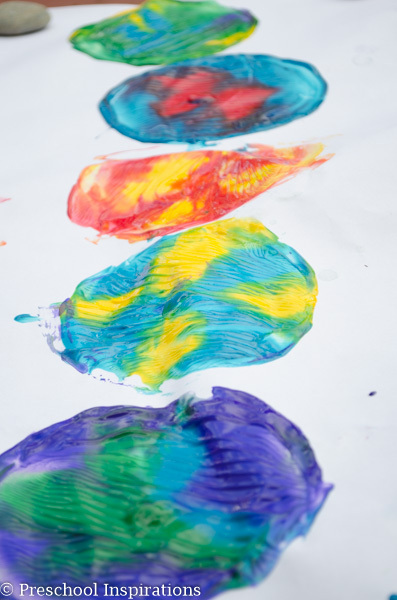 I am so thrilled to share this wonderful process art activity that my children absolutely loved. 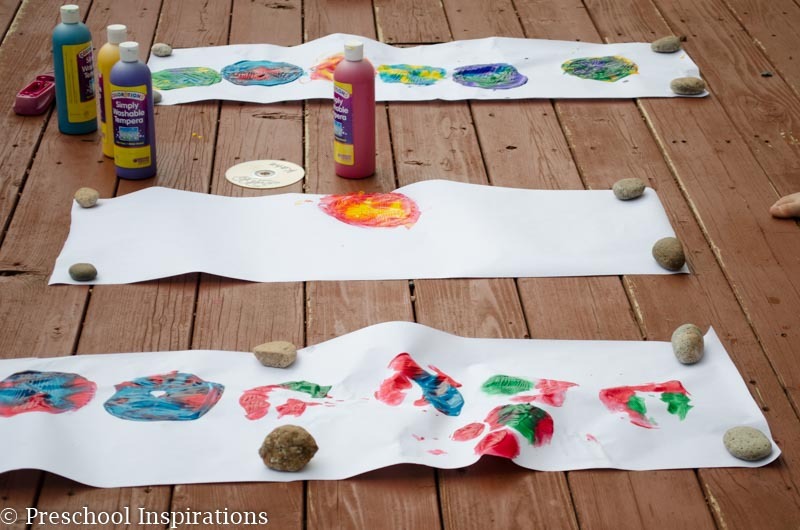 We took the idea from the book Action ART: HANDS-ON ACTIVE ART ADVENTURES by MaryAnn Kohl and Barbara Zaborowski. I received a complimentary copy of the book in exchange for a review. As always, all opinions are completely my own. 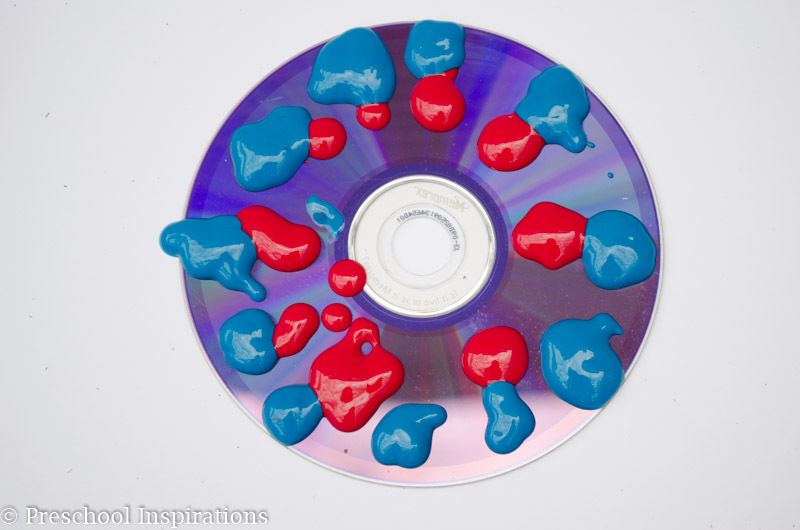 This CD twisting activity can be found on page 43. It is the most fun my children have had in months! They did it for hours outside on our deck, and I enjoyed watching them so engaged in their work. The moment the book came to us, my daughter and I went through it, pointing out our many favorite activities. I really wanted Sugar and Spice to try the bicycle art on page 96, but we decided to start with the CD activity. Sugar and Spice (6 years old) and Lil’ Red (4) both absolutely loved this activity. 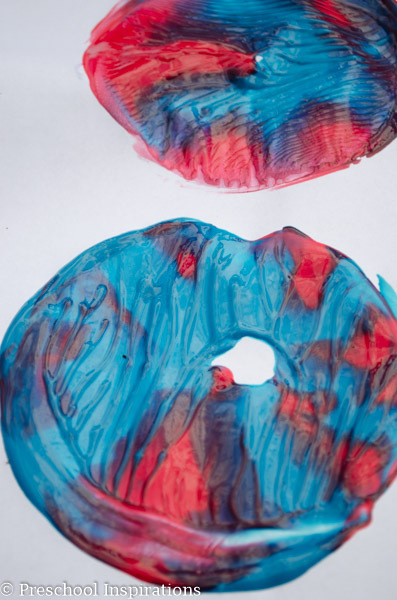 They kept making more and more twisted CD prints, and they smiled from ear to ear at their creations. I heard them say things such as “ooooh, I see a horse” and “look at the colors!” I know this activity will be in our repertoire for the future many times over as it was such a hit. They also have the other favorite activities scheduled for the rest of the week. The entire book is filled with ideas that you can set up with very little prep. 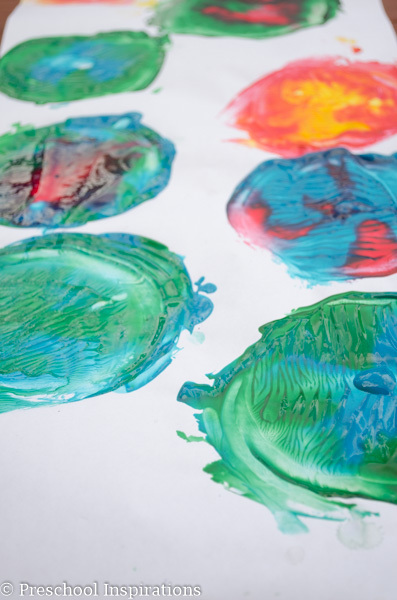 The simplicity of the activities make it so easy for a busy mama like me as well as any teacher to set up an invitation to paint in a few minutes that would engage children for a long time. My favorite part about this entire book is the action aspect. Children, especially preschoolers and toddlers, need to be up and moving. When you combine art with motion, it turns into a beautiful process for the body, heart, and mind. The materials are all clearly listed, and even better, there are many alternatives that you can use. We could have chosen any of the process art ideas because we had the materials for every single project on hand. Action ART has inspired me so much to make more time for process art! My kids are excited to try out the rest of the ideas, and I feel that any home or classroom would greatly benefit from the action-inspired activities in this book! I’m so grateful for your review. That your children were engaged and happy and creating art is the best thing you could tell me. I’m really excited about the expereince you had!! Thank you for the review. Click on the eBook section. It’s cheaper than the print book. Thank you so much, MaryAnn! You are amazing at spreading your passion for art. I have learned so much from you :). This looks like a great resource book. I have done this project with paper plates. I’m not sure where I am suppose to leave my favorite color (My favorite color is red) to get a spinning top.